In less than 24 hours, I was reminded of the good, the bad and the ugly of branding in the 21st century. I replied, without even thinking: ‘Don’t know, either. Never tried. 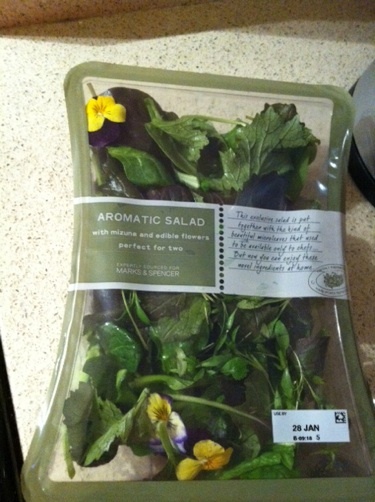 But it’s Marks & Spencer’s… it should be good’. Isn’t it great when a customer is willing to risk her cash on a product she may dislike and have to throw away, because a particular company sells it? It is called trust and it is an amazing asset for a company to have! This trust occurs because of effective branding. When a company brands a product it is making a promise to its customers. It is promising a consistent experience – for some companies it is a promise of superior service, for others it is a promise of unbeatable low price, for others still it is about product performance. But the key is to deliver on your promise. These promises form the foundation for a relationship between the firm and the customer. Customers will keep coming back 0ver and over again if those promises are fulfilled. Moreover, companies can use brands to communicate values to its customers. These values need to be different from those of the competitors and they need to be aligned with the customers’ own personal values. A company that forgot about values is LA Fitness. Today, Dirk vom Lehn (aka @dirkvl) brought to my attention a story of incredible greed. You can read the full details here, but I’ll summarise it for you. LA Fitness refused to let a woman, who had been a customer for 7 years, cancel her contract with the health club… even though she was moving 12 miles away from the nearest LA Fitness gym AND she was pregnant AND her husband had lost his job AND they and their children were about to be made homeless. They insisted she would have to pay the remaining 15 months of the contract, even though she would not be able to use the gym and, clearly, there was no way she could afford it. Unsurprisingly, when the general public got wind of this story, there was a Social Media backlash. Eventually, the company waived the fees, though its response was pretty slow and basic. A bit more detail on the Social Media backlash and the company’s response can be found here. First and foremost, this case shocked me as a person. “Physical revulsion’ is a very pale description of what I felt reading this story. In addition, I could not believe that such a big company could make such a crass marketing mistake. There is greed. And, then, there is stupidity. This is a case of the latter. 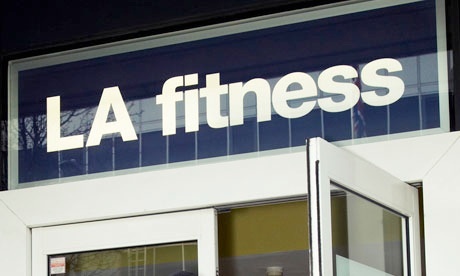 LA Fitness fell for a very common trap in brand management: short termism. Short termism may be loosely defined as the pursuit of short-term gains at the expense of long-term performance. Time and time again, companies that chase short-term gains act in ways that hurt, or even destroy, their brands. Add to that mistake the reach and speed of Social Media – which shifts the power away from corporates and puts in the hands on individual consumers – and you have a branding fiasco. I suspect LA Fitness will turn into a textbook case study about how not to manage your brand. I, for one, will be using it in my classes. Do you think LA Fitness will ever recover from this fiasco? PS – If you want to get an overview of brand and branding, this Sloan Management Review article is a good introduction.